I have a couple great new releases to show off this morning. 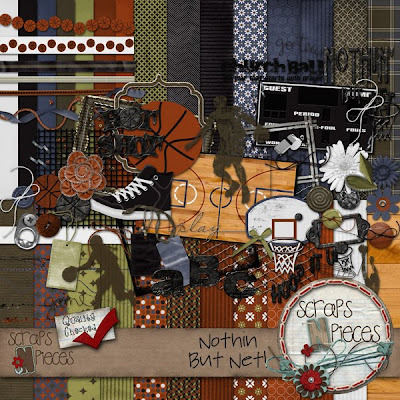 First up, Lori & Heidi (designers behind Scraps N' Pieces) have designed a three-point shot of a kit called Nothin' But Net. 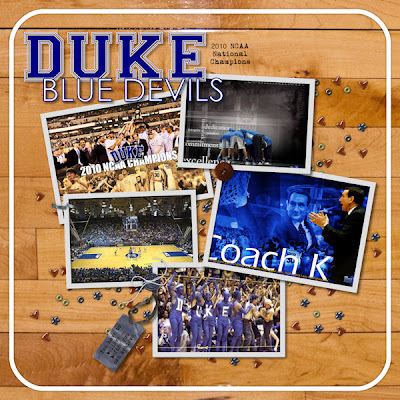 This kit works great whether you have a star on the court or you're a fan in the bleachers. It's not just for boys either, there are a few girl elements in there too! I had no pictures of me or anyone else I knew playing b-ball, but I knew I wanted to capture the joy that is Duke basketball. I got accepted at Duke back in 1992. I still don't know why I applied because I knew we'd never be able to afford it. I thought, what the heck. And then when I actually got in...ugh, so frustrating that I couldn't go. My dream is to someday tour the campus and watch the Blue Devils play in Cameron Stadium. Nothin' but Net is 50% off the first week at SNP. It's also available at Stuff to Scrap and My Memories. It's that time again when we all make those resolutions “this year” we are going to keep …. no excuses. To help you scrap those inspirational pages, and to track your progress to a more happier and healthier you; the designers behind Keystone Scraps present to you I'M LOSING IT. The bright palette of this kit is sure to make any layout you create stand out from the crowd. Have you gone on a great bike ride just for fun? This kit will help you preserve that memory. Or do you just love to show off your beautiful family … this is a great kit to scrap pages of your children with its pops of color. So you are not limited to just fitness and exercise. Wait till you hear what all you get with this kit. First off a bold alpha sure to stand out. Included in this alpha is uppercase, lowercase, numbers AND special characters. There are 40 elements and 18 papers so you have a variety of different things you can create with this kit. As a bonus there is another alpha that goes along with this kit. It is called “The Little Black Dress” alpha. It will be available FREE to download for 24 hours ONLY … after it will be added to our store at Scraps N Pieces available to purchase. If you need a little inspiration on what can be created with this kit, head on over to their blog. 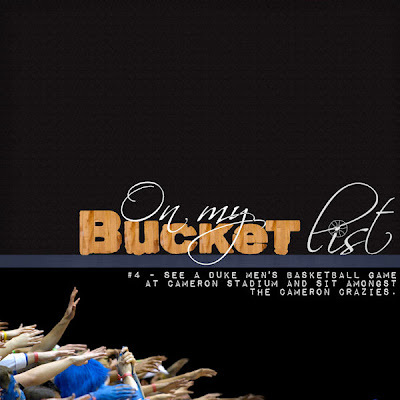 I was unable to create layouts for this one right now, but the layouts created were awesome.